Reverse and Render; Dismiss and Opinion Filed June 19, 2015. In The Court of Appeals Fifth District of Texas at Dallas. No. 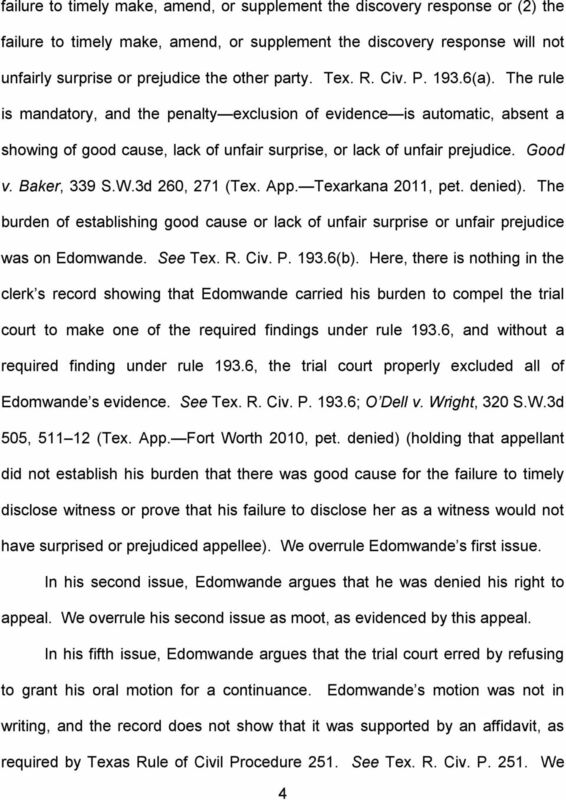 AFFIRM in part, REVERSE and RENDER; and Opinion Filed May 14, In The Court of Appeals Fifth District of Texas at Dallas. No. 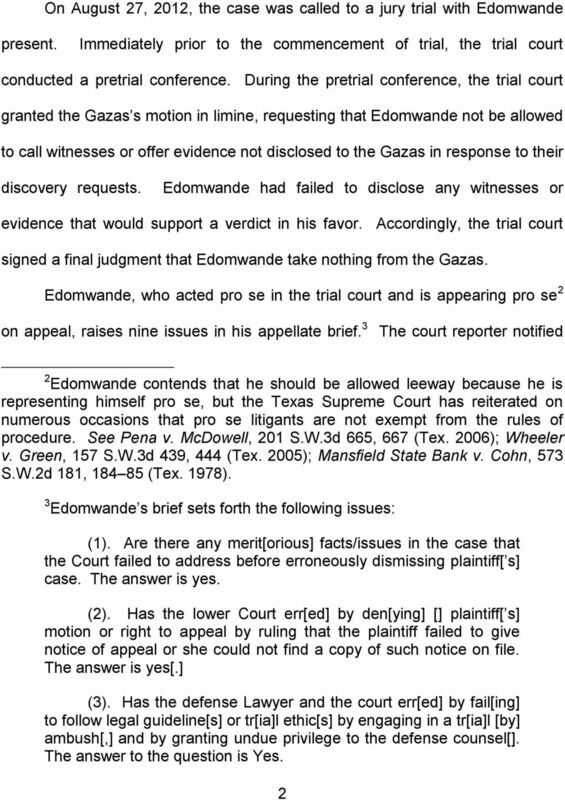 AFFIRM in Part, REVERSE in Part, and REMAND; Opinion Filed May 8, 2015. In The Court of Appeals Fifth District of Texas at Dallas. No. 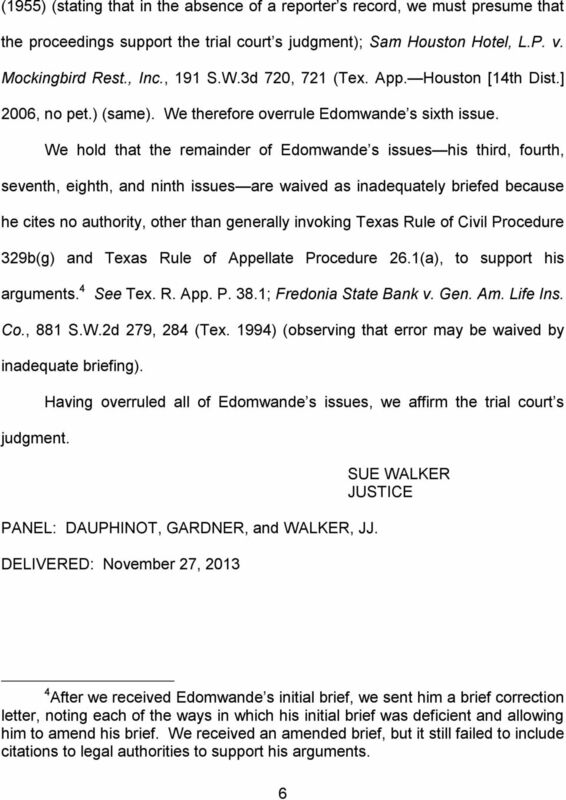 AFFIRMED; Opinion Filed August 12, 2014. S In The Court of Appeals Fifth District of Texas at Dallas No. 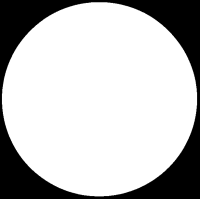 05-13-01135-CV RICHARD P. DALE, JR., D/B/A SENIOR HEALTHCARE CONSULTANTS, Appellant V. TAMMY S.
NO. 01-03-00062-CV. D. B., Appellant. K. B., Appellee. 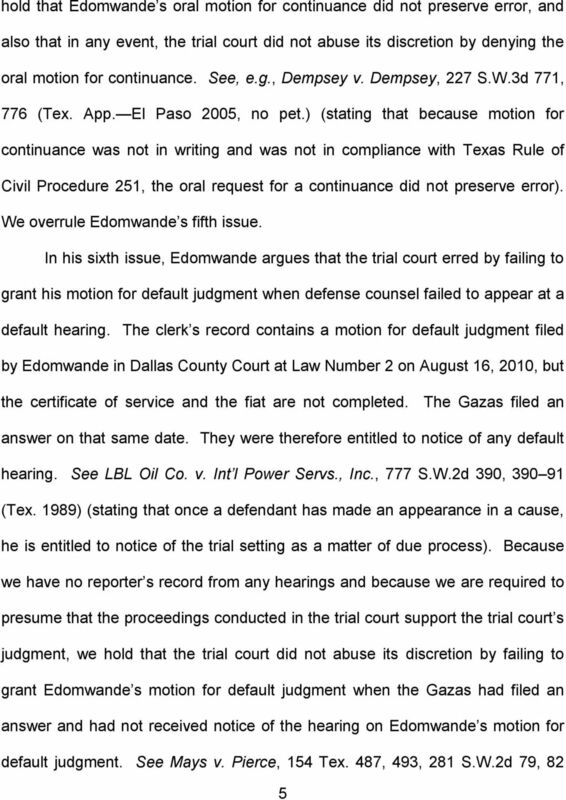 On Appeal from the 311th District Court Harris County, Texas Trial Court Cause No. In The Court of Appeals Fifth District of Texas at Dallas. No CV. 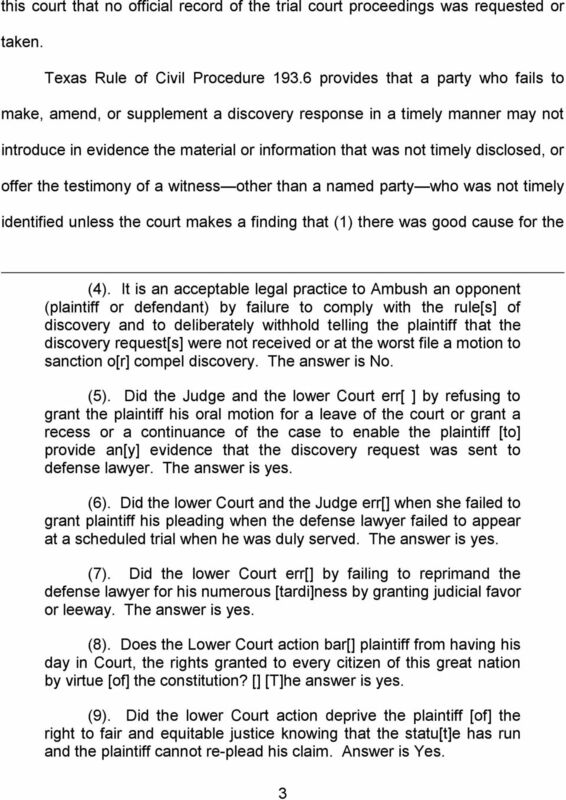 ELIZABETH BLUME, Appellant V. WELLS FARGO BANK, N.A. Case 4:11-cr-00722 Document 193 Filed in TXSD on 07/25/14 Page 1 of 11 IN THE UNITED STATES DISTRICT COURT FOR THE SOUTHERN DISTRICT OF TEXAS HOUSTON DIVISION UNITED STATES OF AMERICA VS. CRIMINAL NO. In The Court of Appeals Fifth District of Texas at Dallas. No. 05-13-00535-CV MORTON RUDBERG, APPELLANT V. N.B.P. AND N.P.P. Affirm in part; Reverse in part; and Remand. 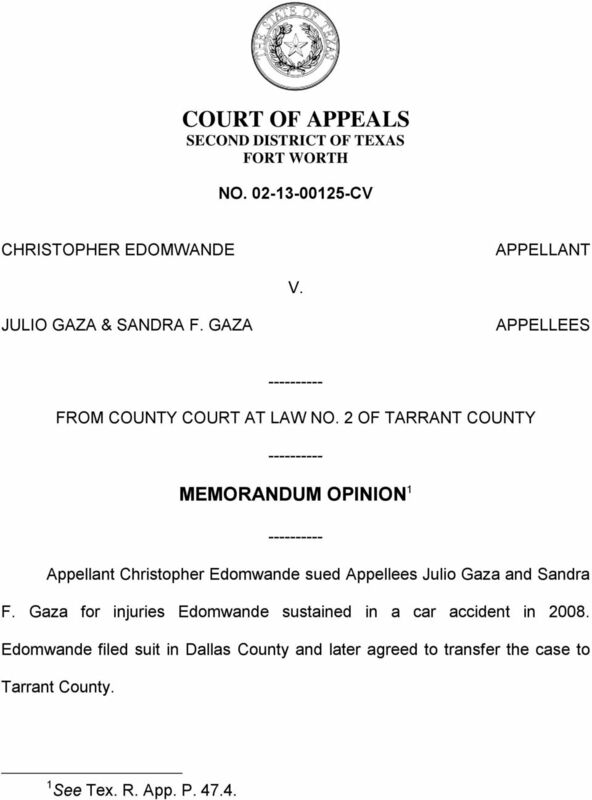 Opinion Filed June 9, 2015. In The Court of Appeals Fifth District of Texas at Dallas. No.